Last week’s spate of landmark judgments from the Supreme Court made a prominent judicial functionary remark at a public forum that we were in the midst of “mood swings”, and that we were unable to understand whether what happened the previous day was indeed true. His reference to the Rashomon effect in a different context, made one not to miss its analogy with the judgments themselves as some of the high-profile issues before the Court were read by the dissenting judges differently from the majority Judges. The judgments upholding the constitutional validity of the Aadhaar Act, Sabarimala temple entry for women, the non-reference of the question whether mosques are the essential aspect of Islam to the Constitution bench, and the dismissal of the activists’ prayer for Special Investigation Team to probe the arrests illustrate the significance of dissenting judgments. In the cacophony of responses to the judgments emanating from the Supreme Court, there was one interesting aspect of a unanimous judgment, which went largely unnoticed by the media. In Public Interest Foundation and Others v Union of India, the Centre made an astounding claim that every citizen has a right under Article 19(1)(c) of the Constitution to form associations and that this includes the right to be associated with persons facing charges for heinous criminal offences, who are otherwise qualified to be Members of Parliament, under the Constitution and the Representation of People Act, 1951. Although the Centre made this claim, while contending that such a right can only be restricted by law made by Parliament and any direction issued by the Election Commission under Article 324 is not law for the purpose of Article 19(1)(c), it led to interesting possibilities. That the Supreme Court’s Constitution bench, in its unanimous judgment in this case, referred to this claim in Paragraph 82, makes one wonder whether it agreed with the Centre on this. The Court’s agreement with the Centre’s proposition can be inferred, as the bench accepted it, while declining the prayer of the petitioners to direct the Election Commission to deny party symbols to candidates, facing charges for heinous offences. If those charged with heinous offences can claim the right under Article 19(1)(c), can the members of an outfit, which is under a legal ban for merely espousing certain ideologies considered by the state as extreme – even if there are no charges for heinous offences - claim similar rights? Can bodies and institutions, other than Parliament and state assemblies, where qualifications do not insist absence of criminal charges involving the commission of heinous offences, permit association of those facing such charges with them? 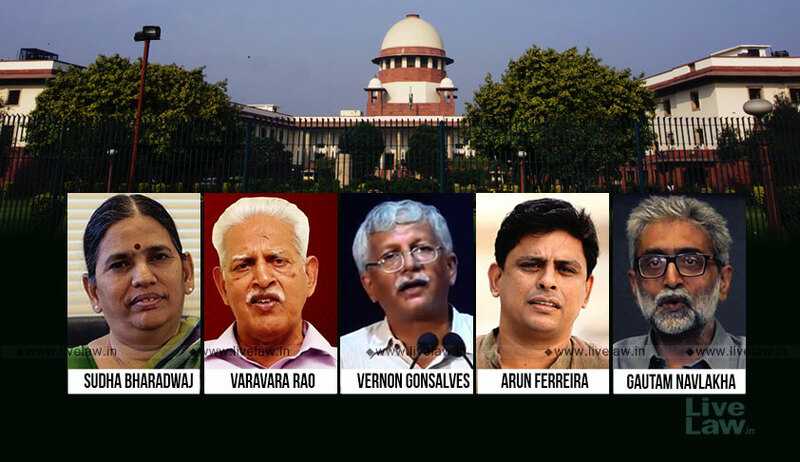 Among the allegations against the five activists, whose arrests led to a nation-wide uproar inviting the Supreme Court’s intervention, is one that insinuated that they colluded with members of a banned organisation. That the majority Judges in the Romila Thapar v Union of India, which dealt with the challenges to these arrests, did not at all refer to the Centre’s claim in Paragraph 82 of the Public Interest Foundation, makes one further wonder whether the three Judge bench, which decided that case, was not bound by the decision of the five Judge bench in Public Interest Foundation case, delivered during the course of the same week. If a political party can legitimately field a candidate facing charges for heinous offences, at an election, and still enjoy Constitutional protection, can the five activists be accused of conspiracy against the State for merely sympathising -even if the allegation is true - with those charged with serious offences, so goes the argument.